How Eventuri is using the Builder Extreme to develop custom intake solutions for top tier performance cars. Eventuri, based in the UK, is setting a new benchmark in the aftermarket intake industry for top tier performance cars. Eventuri is constantly developing bespoke intake solutions which bring genuine power and torque increases. An important part of developing these bespoke intake solutions is the extensive prototyping. 3D printing allows Eventuri to develop a bespoke prototype within hours which decreases the product development time significantly. 3D printing is not new to Eventuri as they have been using smaller desktop 3D printers, but the bigger bespoke intake solutions always needed to be printed in several parts which requires a lot of handling. 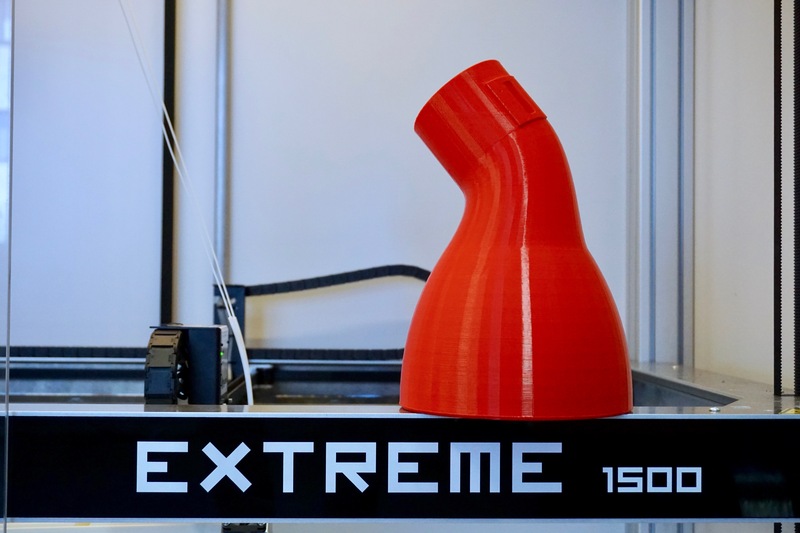 Now, with their Builder Extreme 1500, Eventuri is able to print large and complicated intake solutions in 1 piece within days. Bilal Mahmood, founder of Eventuri explains: “We needed to print larger prototypes in 1 piece and without worrying about failed prints – the Builder 1500 ticked all the boxes”. The 3D printed prototypes are being used for fitting tests before they create the product from carbon fibre. This intake box was 3D printed and fitted in to the Audi C7 RS6/RS7. This prototype took Eventuri 30 hours of printing with a 0.8 mm nozzle, layer height of 0.4 mm and could be used for a fitting test immediately.